Life is far too short to take it easy for just two weeks out of the year. Whether a morning refresher or a stress beater at dusk, you can get away to your Beauty Pool every day. Think back to last year’s vacation. A couple of weeks out of your life of chaos, when you were supposed to unwind and relax. The only problem was that by the time you saved for it, planned it, battled the congested highways to get to your destination, fought with the crowds and braved the sometimes-less-than-pristine waters once you arrived, the experience was hardly conducive to unwinding. Now picture a Beauty Pool in your own backyard. A vacation spot which comes to life every day. A place where you can slip into the refreshing waters whenever you like. A personal retreat where you can surround yourself with all your favorite people or nobody at all, to melt away all the heat and frustration the world can throw at you. Beauty Pools a well recognized name in the in-ground swimming pool industry has been in business for over a half a century starting as a Silo company. The first gunite pool built by Beauty Pools was in 1956 by Artel Metz. 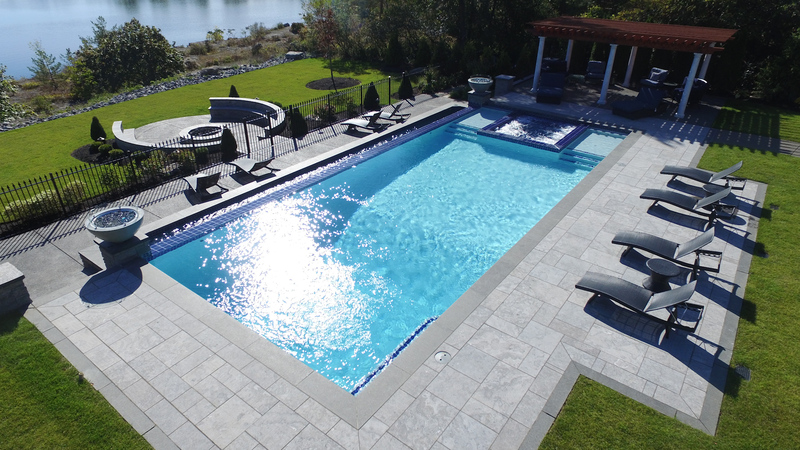 Today, Beauty Pools builds not only in-ground gunite swimming pools and spas but offers a wide variety of products for both Residential and Commercial Customers. Products like Acrylic spas, patio furniture, gas grills, Pool Toys & Accessories. Everything you need for your backyard fun. As a member of the prestigious, internationally renowned Master Pools Guild, our quality standards have made Beauty Pools one of the few pools that actually increase the value of a home at resale. This is why Beauty Pools has been Western New York’s largest custom in-ground pool builder for over half a century! Beauty Pools has built thousands of residential and commercial pools utilizing the latest advancements in construction technology and innovative pool / spa features. Beauty Pools are designed for your backyard, blending the shape, size, style & finish of your pool with the landscaping elements of your existing environment – or we can create something entirely new. Offers every customer a knowledgeable staff, a full service department, convenient store location, pool accessories, patio furniture & the finest pool chemicals necessary to keep your pool in top notch condition!